I grew-up in a suburb of Lincoln, Nebraska called Eastridge. 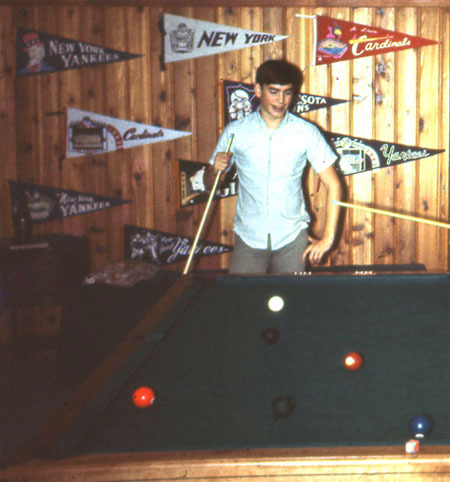 Our house had a basement with a recreation room more commonly called the rec room. We had shuffleboard "triangles" inlaid into our tiled basement floor and it provided occasional entertainment. But the real fun was up the street at the Keister's. There were three Keister boys and their ages were within five years of each other so it was easy for me to knock on their door and find someone to play with. 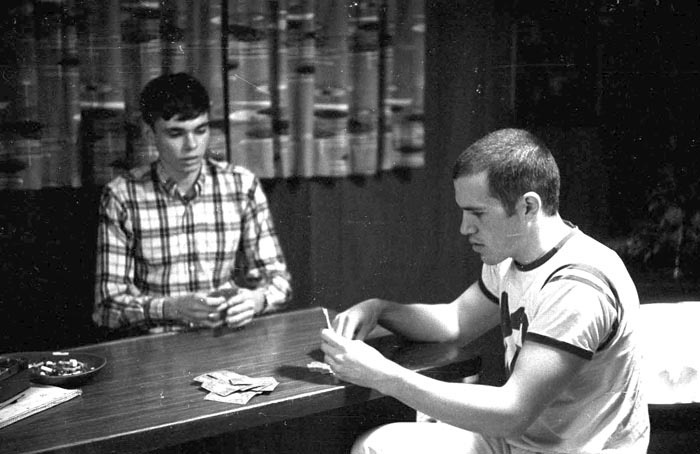 It was the 1960's and you would play with friends, not hang out with friends. Over the years we ate alot of Valentino's pizza (2) in the Keister rec room while we played pool and played cards and played board games. We also played the phonograph...alot. 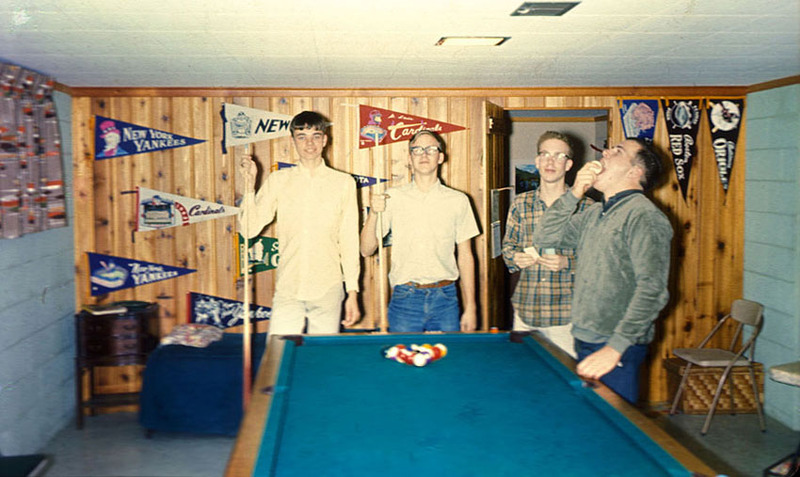 The Keister rec room could have accurately been called "the social center of the dateless" since most activities were pretty much a guy thing. 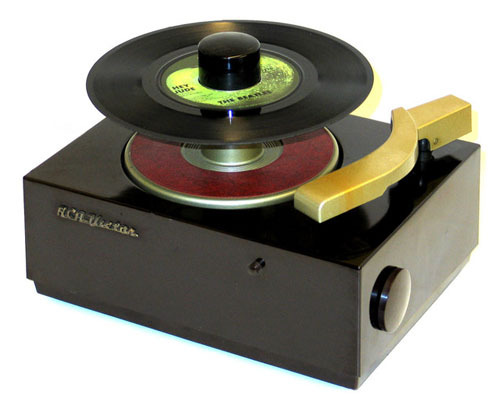 But we had fun and one of my distinct memories is the sound of 45 RPM records playing on the RCA Victor record player that sat in the corner of the rec room. Dave was the oldest Keister brother and he loved Doris Day and Petula Clark. I can still hear him playing his 45 RPM of Downtown. 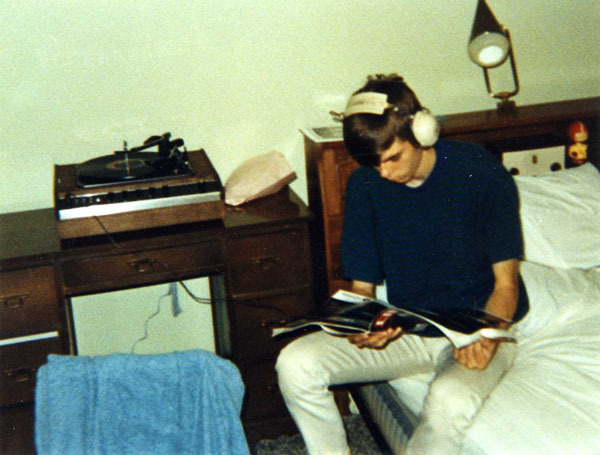 Doug was the middle son and he also had a 45 RPM record of Downtown. However, it was an Italian version of Downtown and for some reason playing that record seemed to irritate Dave. Which is obviously why Doug liked to play it. 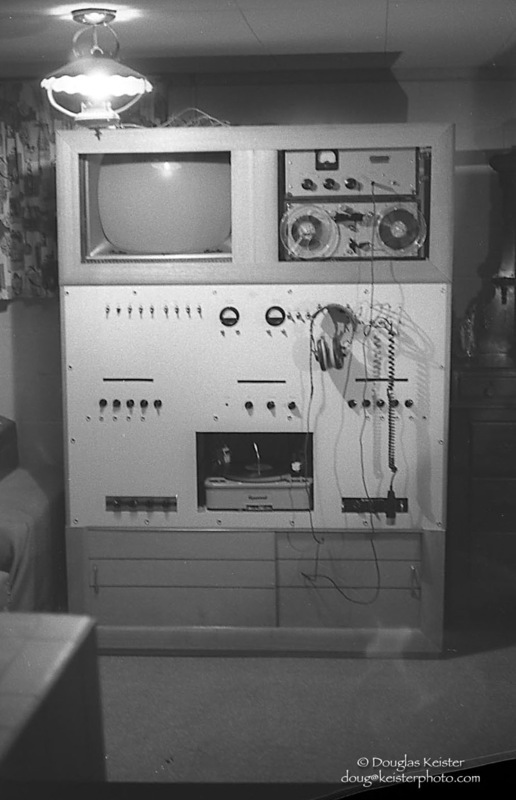 Doug's bedroom was in the basement and in his room he had built what you would have to call a monster sound system. The speakers were Voice of the Theatre 15 inch cones inside two huge grilled speaker cabinets. A large control panel he had made dominated the room with its size and switches and lights. We used to kid Doug about that control panel because it seemed like most of the buttons and lights didn't do anything. I don't remember the sound being as great as its size but it had power and he could crank it up, much to the displeasure of his parents. As I recall the Yardbirds' I'm a Man was always turned all the way up by Doug at the end of the song. I can still hear Mrs. Keister yelling down the staircase "Turn down that music!" Reading Look magazine and listening to Kim's Harmon Kardon with Dave Clark Headphones, circa 1966. All in all there was a variety of music heard in that basement: "de gustibus non est disputandum" as the Romans would say (there's no accounting for taste). 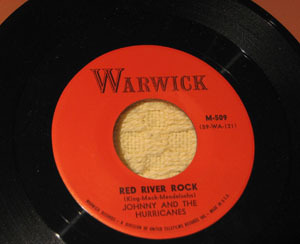 But if I was to name one song that I connect with those record playing days and nights it has to be the 45 RPM Red River Rock by Johnny and the Hurricanes. It's a record that we played over and over, which is one way to account for how deeply it's still embedded in my memory. That embedded sticking of a tune, often called an "earworm," doesn't have to be based on the number of times you hear a song. Associations we have with certain songs can have many sources. For couples a song can be given special status and be called Our Song. This designation usually has romantic connotations but all songs can trigger memories of a particular time or place. I don't associate Red River Rock with any special moment or the fact that anyone in our group actually thought Red River Rock was a great record. I'm also certain that none of us would ever think of it as an "Our Song." We were a group of teen-age boys in the 1960's and Red River Rock was really just one of the records we played. But for me it is a song that has connections and triggers memories and takes me back to the Keister basement in Lincoln, Nebraska. Therefore, I call Red River Rock one of my "Time Travel Songs", i.e., not an "Our Song" or a my song but a song that has a special status in my memory banks that takes me back in time. I'm sure most people have more than one of these tunes in their head. What are the songs that take you to another time or place? Do you have an "Our Song"? My "Our Song Phenomenon - A Phonograph Recollection" has two reasons for being written. First, I think it's interesting that certain songs are 'sticky' and take us back in time or place even if we only hear a few bars of the song. And second, I enjoy all popular culture connections to the phonograph, celebrate the phonograph and its legacy, and look for any excuse to repeat my phonographia truisms (to the point, I'm told, of sounding like a broken record). But of course I am a Phonographian. The Phonograph is an invention that began a revolution of sound. 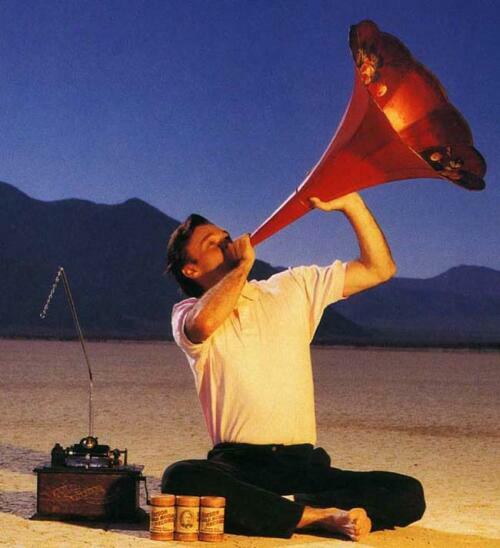 On December 6, take a moment and wish Edison's Phonograph a Happy Birthday! It's a revolution still turning.